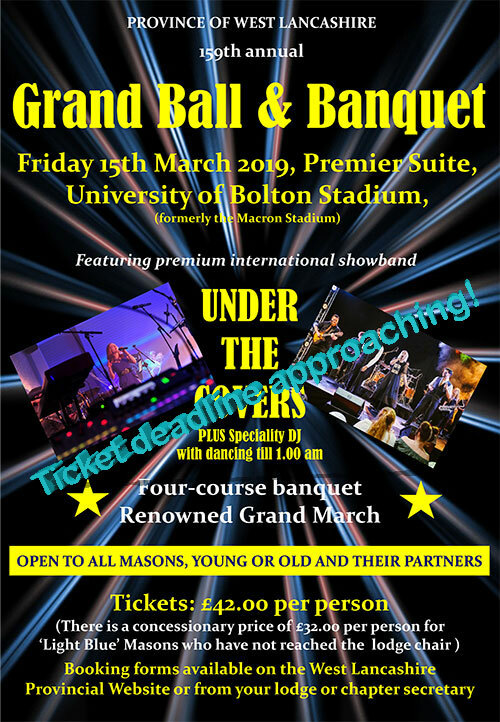 The deadline is fast approaching for getting tickets for the annual Grand Ball and Banquet which will once again be held at the Premier Suite, Macron Stadium, Bolton on Friday 16 March 2019. Applications MUST be received by 15 February. After this date, availability may be restricted, the price will increase to £46 pp and seating within your own Group cannot be guaranteed. 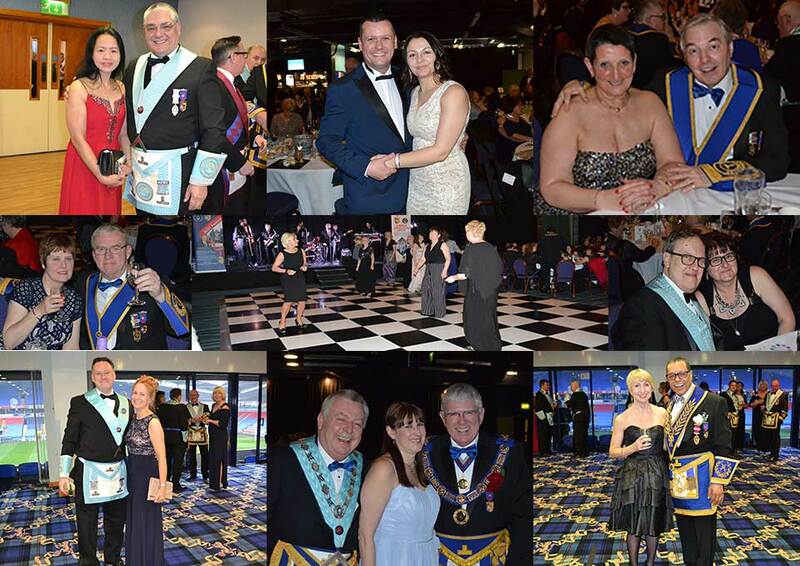 This popular and prestigious Provincial event will be the 159th occasion on which West Lancashire has welcomed all its members and their partners to a spectacular evening of food and entertainment. A fabulous four-course menu will once again be presented by celebrity chef, Paul Heathcote MBE and his staff. Following the sumptuous banquet, a great night of entertainment and dancing will be provided by one of the North West’s top showbands, ‘Under the Covers’. In addition, a speciality DJ will be on hand to ensure the fun continues into the early hours. As always, the immensely popular and traditional ‘Grand March’ will take pride of place at the start of the evening’s entertainment. Many will recall that it was a major feature in the Sky TV programme ‘Inside the Freemasons’. Another very popular tradition will again be observed, with all brethren and companions attending being asked to wear full Masonic regalia for the reception and dinner. Late availability of accommodation should be checked directly with Bolton Whites Hotel on: 0844 2482345, opt 2.